The shareholders of Crysede Ltd have every reason to be pleased. Their first annual meeting has been held today, 21 May 1927, and the story is one of enterprise and hard work rewarded; of good design finding favour; of success. It’s a year since the business moved from Newlyn to an old fish-processing factory at St Ives , a rectangular building between Porthmeor Beach and the Island described as “the tombstone of a dead industry”. 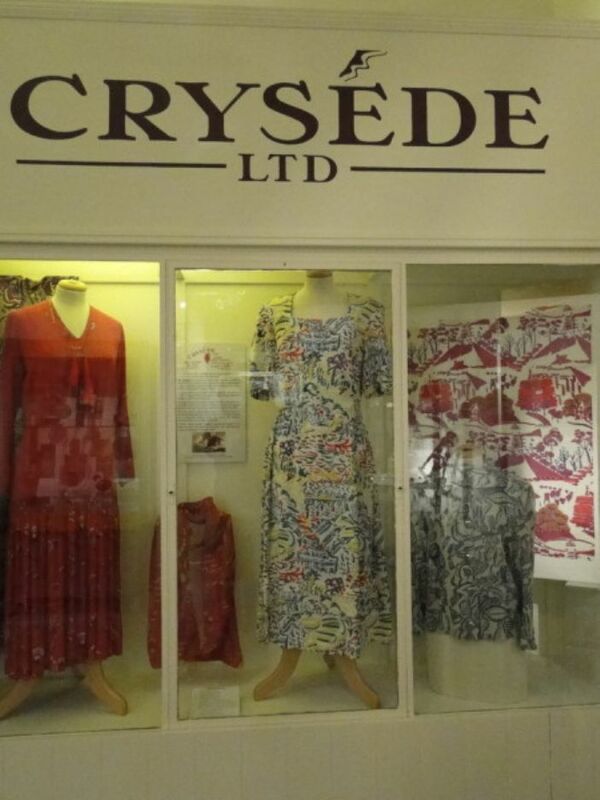 But the building has been remodelled along modern lines with electric lighting, and Crysede is now a limited company. The former pilchard tanks are used for dying fabric, and there is a central open area for drying it out afterwards. So – a year on, at the new factory, everything is tickety-boo. Output is up. Yes, the directors admit, some shareholders have had to wait for their spring outfits - such has been the demand that the factory has run out of silk. Sales are up, bucking the national trend. There is a second Penzance branch in Queen’s Square, and a new shop at Torquay. There’s a 71/2% dividend, and money in the bank. There’s even a new line of merchandise – curtains. Chair of Directors Horton Bolitho has found his initial fears about working with people of “artistic temperament” to be quite groundless. Looking back over the company’s history, he praises Mr Walker’s designs, quoting an art critic who has looked them over and concluded that: “in the early ones there was the creative vigour of the man of courage and colour sense… from there they were getting more matured, and the last were matured: they were complete”. Mr Walker now has a studio at Newlyn, which will give scope to his “reflective nature”. And perhaps keep him at arm’s length from the production. It’s not always easy for a manufacturer to “follow the flights of an artists and the demand he makes for colours”. The chemist, the dyer, have been put on their mettle. Success, though, is the keynote of today. There have been takeover bids from bigger manufacturers. But, as Mr Heron says on behalf of the directors, the business plan is unchanged and the work will continue as it has begun: “making the most beautiful things we can, making the best things we can, making them the best way, and paying the best wages we can”. And so they will, until 1941.